I'm the new owner of a Bonair Oxygen trailer. It has an AC 1400 W electrical water heater only. My wife and I would like the possibility of taking a shower when not hooked up. I was looking to have a tankless propane water heater installed. I was told that the system is as big as the water tank itself and would necessitate cutting open the side. Then I looked into the possibility of having an inverter plus a big battery to heat one or two tankfulls. Would a 120 amp/hr battery with a 2000 Watt inverter do the job? Anybody have recommendations and things to avoid. A water heater with a 1400 watt element would drain your battery heating the first tank of water. Then you would need a way to charge your battery. Solar ? Generator ? If you go the generator route you could run your present electric water heater off the generator. If you want to boondock camp then a propane or combination propane / electric water heater seems the most practical solution . Heating water with your battery is not the solution IMHO. But one other possible solution is to get a solar shower. They are fun, use very little water and use no power. Thanks for the advice. The portable tankless water heater is a promising alternative. I' M looking to see how I can hook and unhook it from my water line. I figure that I'll have to quick link the inflow, the outflow and the propane. I guess I'll have to put an anti return valve to avoid filling up my water tank when heating tankless. The price is reasonable too. For the solar, how long should I expect necessary to heat enough for a shower? The time frame for a solar water heater depends on the temperature of the water , how sunny it is , what the ambient outdoor temperature is , how much water your trying to heat and the desired temperature of your shower . On a warm , sunny day I've seen the water warm up enough for me to shower in 4 hours but I not into HOT showers. We camped at a campgrounds that had a 200 gallon solar shower and it took days of hot sunny weather to heat the tank. If it was a really hot sunny week the water actually got too hot. I love our Fastair propane tankless heater that we mounted to the tongue of our Boler. Another member here, Redbarron55 has the same one I do, and I believe he likes his also. Hello Johnny, there seem to be a few tankless water heaters. You've installed your fastair water heater on the tongue. Do you leave it there permanently? If not does it install and disinstall easily? How many litres per minute (l'OM) or gallons per minute GPS is recommendable. Even though I intend to visit the southern US I will also be using it up north. Water can often be barely above the freezing point. So the heater has to have power. Is there some mesure for the number of degrees it can handle. How many gallons per minute does yours produce. From your experience what capacity would you recommend? I used some nuts & bolts to make a frame using 1 piece cut in half to make 2 pieces for the top and bottom of the Fastair unit. 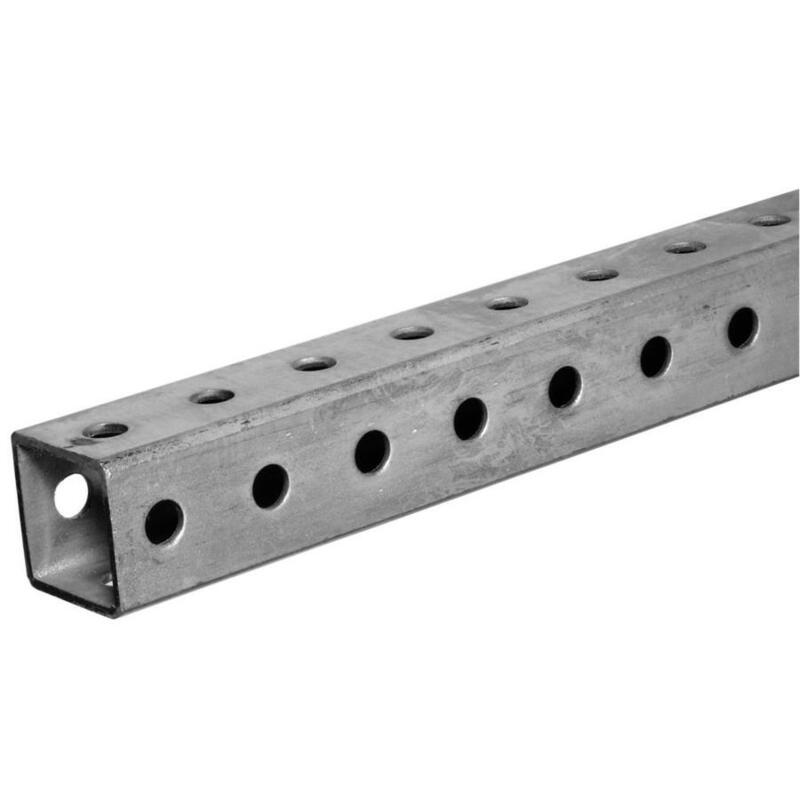 The Fastair bolted to it, and the 2 legs or sides of this bracket were made out of standard conduit, cut drilled and bolted to each of the ends of the perforated square tubing. I then attached 2 conduits straps to the curb side of the tongue, then slid the conduit legs into them. The lower perforated square tube I added later which rests on top of the tongue beam to stabilize it for when in tow. Here it is mounted to the tongue: (The 2nd picture below doesn't show the 3rd piece that rests on the tongue as I added that after this photo to stabilize it better for when in tow. You can see it in the first picture but not very well. 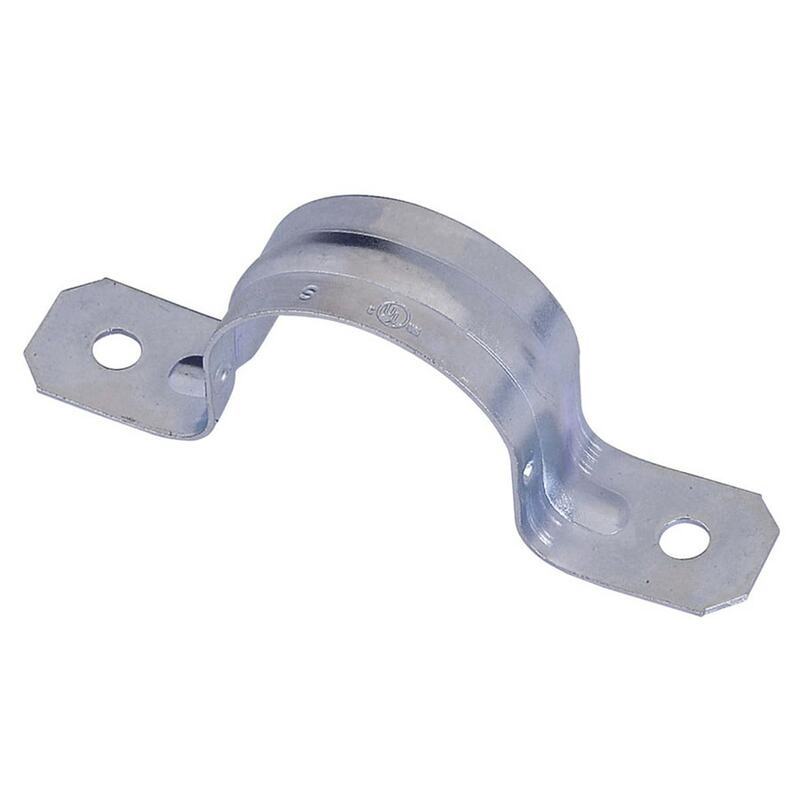 It is easy to remove, just loosen the threaded water connections and gas line, loosen a couple of bolts and the unit lifts off easily so I can store in my garage during the winter months. This unit can be vented for interior use but I didn't want to add a vent hole to my Boler roof after I spent months repairing multiple fiberglass holes and patching old openings. My unit is either 1.6 or 1.8 liters/minute, not sure the gallon conversion, but I can tell you I have used it in many campgrounds on city water hookups and on tank water with our Seaflo 12v water pump and it works great on both. There are 2 settings on the unit A water flow and B water temperature. Using the water flow knob to increase or decrease water flow and the water temperature knob to set the water temperature give you ample flexibility for various water conditions regarding PSI (pressure) and gmp (flow). I can usually set in about a minute or so once we get setup, with maybe a slight adjustment afterwards for optimum desired results. It has a digital read out so I can dial it in to the exact temperature I want, only it reads in Celsius not Fahrenheit (easy to convert with a chart or online). I believe I set mine to 34 or 35 degrees Celsius which is about 94 to 95 Fahrenheit for showers, a little hotter for dish washing. It would be more convenient if it was it the bathroom, but its not much trouble. As far as what it can handle, I have set it very hot on city water with high psi to wash dishes with (make sure you get a water pressure regulator). Also note you must use high pressure water line and not vinyl tubing for the hot water return as I tried before and busted from residual heat build up after shutting off the water once. The vinyl tubing line swelled up until it busted, I changed that to a pex type water line and haven't had any issues since. Thanks Johnny, it is exactly what I was looking for. I was looking for a solution that I didn't need to dismantle for when towing and that I did not need to make a big hole in the trailer. That will be perfect. I'll send a picture when it will be installed. I will link the cold water supply near the interior sink and make a bypass right after the existing electric water tank towards the propane water heater and back all in pex type piping. Thanks again. Might check out a Zodi shower. Very compact and provides hot showers on demand. If you recirculate the water a bit to pre-warm it you can even take a hot shower using water from a snow melt stream. That and one of those small changing room size tents with the mesh floor such as this inexpensive one https://www.amazon.com/Ancheer-Water...t_sims?ie=UTF8 There of course some higher end versions of these available. I think Zodi has one for around $100 as do other brands. The kit fits in the hard case, the case is the water tank while in use. I like the ease of packing or not packing it depending on if I think I'll use it. Or it is small enough to stash and just take along all the time. Generators are mostly allowed at least at some times of day in rustic campgrounds, they are not always welcomed by fellow campers.